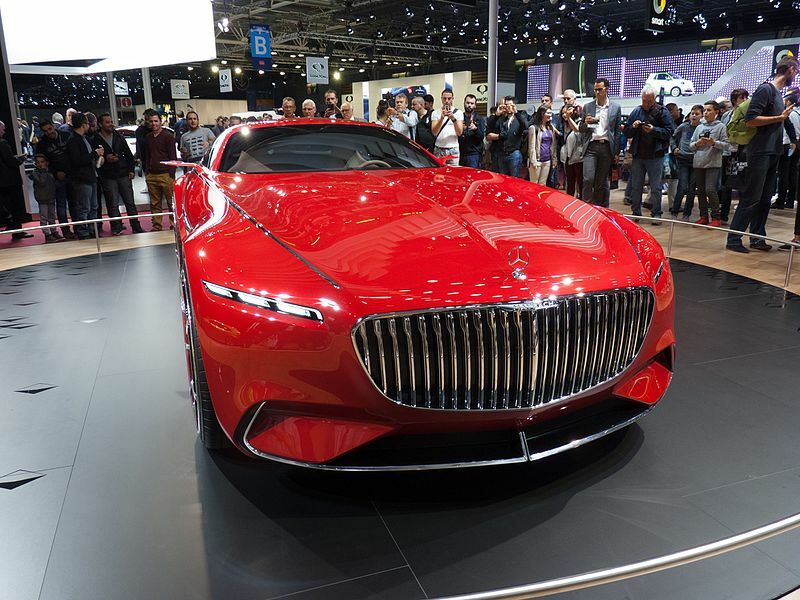 The striking Vision Mercedes-Maybach 6 Coupe debuted at this year’s Pebble Beach Concours d’Elegance in Carmel, California. An electric coupe concept was revealed for the first time at the last year’s edition of the annual car show. The electric concept, called the Vision Mercedes-Maybach 6, combines elegant, emotionally appealing design with innovative technical concept solutions that define the ultimate in luxury of the future. 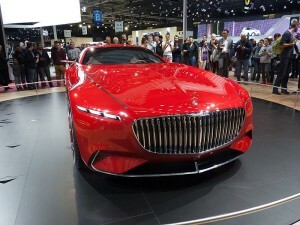 This year’s model, Vision Mercedes-Maybach 6 Coupe, is also nearly nineteen feet long, almost all hood, and rides in silence because of its electric powertrain. However, this year’s Vision 6 at Pebble Beach is without its roof and has only two seats, not four as in the previous version. The center lock is painted in rose gold and the fabric top also has rose gold threads woven in to match. The Vision 6 Cabriolet is even more powerful than the coupe. Instead of the promised 738 horsepower, it is able to make a full 750 hp. The car is said to be able to reach 60 mph in less than 4 seconds. Mercedes claims that the Vision 6 has a range of more than 200 miles and gains 60 miles of range for only a five-minute charge. As a concept, it is highly unlikely to ever be put into production, otherwise, it would surpass the $300,000 starting price for the Maybach S 650 Cabriolet launched last year. This entry was posted in Cars, New Technologies and tagged cars, electric vehicles, luxury transportation, Mercedes, new technology. Bookmark the permalink.